It is beneficial to choose advisers who have a back ground in insurance & mortgages, as most people’s estates are made up of property & insurance policies. We believe it makes sense to have advisers who understand various types of insurance policies and mortgages. Ability to have a telephone interview with an online presentation so you can see questions and diagrams whiles talking to your adviser. A simple diagram can save 100 words. Acces to immediate quotations should you feel your current policies are insufficient or have not been set in the most appropriate way from an estate planning point of view. If you opt for our unique secure storage facility for your documents you may never need to pay for another Will as all future changes to your Wills are done completely FREE of charge. 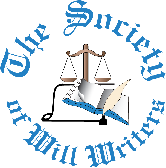 Saxon Wills uses plain English where possible to overcome the problem of Wills – even now in the twenty-first century many Wills are produced using language and terminology more suited to the 19th century. The Office of Fair Trading has said that all legal documents, including Wills should be written in plain English in order that non-legal people can understand the content. Where storage option is utilised a Will Commentary is provided this gives a full explanation of the effects Will.